The ilerdense, faithful to the tradition he has maintained since 2015, presents a special model inspired by the wooden posters of the American ranches. Casco special for a special weekend. Sheriff of Austin, Marc Márquez, wants to continue marking territory and faithful to the tradition he has maintained since 2015, will be testing a new model with which he will seek to conquer his seventh rodeo in Austin. "MM Rodeo Ninety-Three" is the name that has received a piece that is inspired by the wooden posters of the American ranches, without forgetting its identity stamp, 93, nor the lines of the Circuit of the Americas. 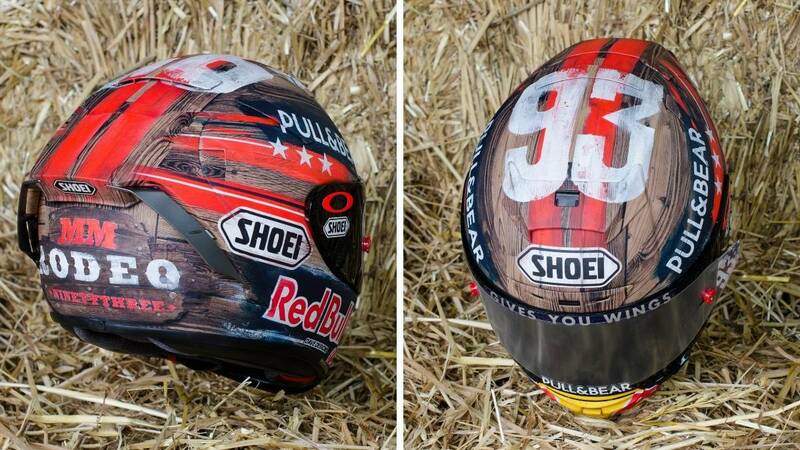 It will be the third special helmet that will be used in the American track and after the novelties presented in 2015, 2016 and 2017, with the Iron Head that repeated in 2018, now David Mata arrives with a novelty that Marc "had in mind for two seasons ". "Now was a good time to make it come true" confesses its author, who has innovated in the design using "traditional airbrushing and hand-worn paint" to achieve the essence of a layout in which his sheriff, will come out to conquer a new battle. The GP of the Americas will be the third race of the season and, as in the last 12 races played on American soil, the ilerdense will look for a new victory that will make him even more world leader.